We are happy to announce that the new GigaCore 2.4.0 firmware is now officially released. But before you start upgrading all your devices, here’s what you need to know about the new features. 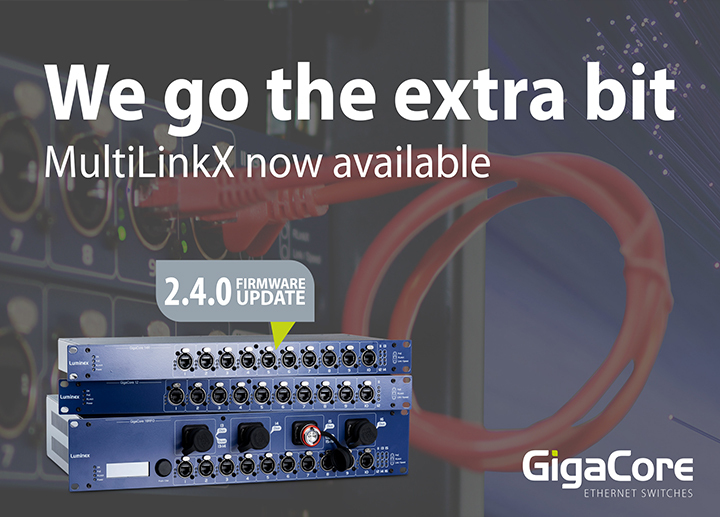 If for example for very demanding systems you need to push more than 1 Gigabit data over our GigaCore switches, then MultiLinkX is definitely a thing for you. 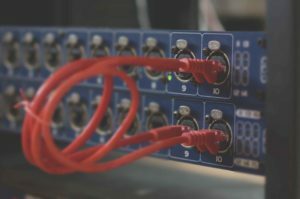 With this new feature you can now easily aggregate several Inter-Switch Links (ISL) into one virtual link to increase bandwidth between switches. 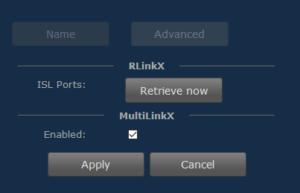 To enable or disable MultiLinkX, just navigate to the advanced menu settings of the ISL group and check/uncheck the MultiLinkX tickbox. When MultiLinkX is enabled, the small rectangular bars under the port icon turn magenta. When the aggregation link becomes active, the bar colours white. Enjoy this new link aggregation feature! If you have any questions, don’t hesitate to contact support. We are also exhibiting at ProLight+Sound in Frankfurt (booth E-87), so feel free to stop by our stand for more information about the 2.4.0 release.